Die West Mayo Brewery präsentierte am 02. November 2016 ihr neu kreiertes Franconian Smoked Beer. 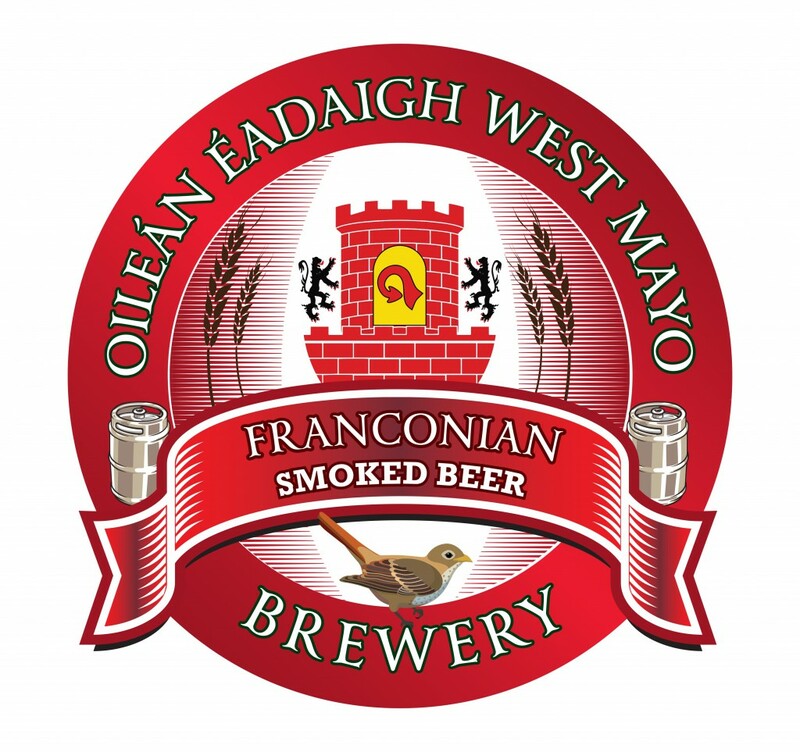 PRESS RELEASE – OFFICIAL LAUNCH OF WEST MAYO BREWERY’S FRANCONIAN BEER West Mayo Brewery of Islandeady have officially launched their latest beer ‘Franconian’, which has recently gone on sale locally. Caroline and Iain Price were inspired to make Franconian, a smoked beer, after visiting Höchstadt an der Aisch, a town in Northern Bavaria that is twinned with Castlebar and a place where they encountered many versions of smoked beer. They came home and developed a recipe using beech-smoked malt sourced from Franconia in Bavaria and put their own distinctive mark on their Irish version of this very special smoked beer. 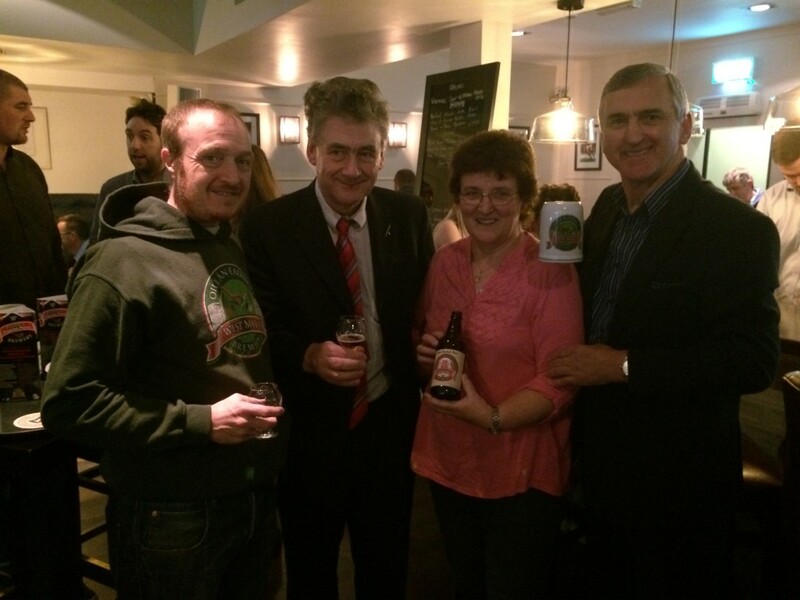 The launch took place on Wednesday November 2nd in Bar One Castlebar under the keen eye of Mark Cadden, a leading light in the championing of local Mayo craft beers. To mark the occasion, Sarah and Sean from De Búrca Traditional Butcher Shop on Main Street Castlebar have developed a bratwurst- style sausage made using the warm smokiness of Franconian Beer. De Búrca’s produce international award-winning handmade sausages and this is their first attempt at a smoked version. It’s called the Franconian Frank and both the beer and the sausage ccould be tasted for free on the night! And if that wasn’t reason enough to head down to Rush Street that Wednesday night, West Mayo Brewery, Bar One and De Búrca Traditional Butcher Shop have all three have recently received news that they are to be awarded the McKenna Guides plaque, a respected badge of merit in Irish contemporary food, for 2017 – their third year in a row. Two weeks earlier John Condon and Martin McLoughlin had paid a visit to Höchstadt/Aisch. Together with Caroline and Iain Price they celebrated their Franconian smoked beer.